Do you feel sluggish all the time? Or you are tired when you wake up even after a long sleep and has lifeless days? You must think about your everyday nutritional needs. Maybe you are lacking something really important in your body, like antioxidants. One of the main reason behind tired and sluggish body all day long is not having enough of antioxidants in your body that makes you feel active and important to fulfill the everyday task. That’s not something you should be worried about because there are certain foods which are incredibly rich in antioxidant content and they are easy to find and yummy to consume with numerous other benefits that can make you healthy, active and energetic. These can be consumed right now and add them to your diet right away with struggling for the preparation and so. A molecule that stops the oxidation process in called antioxidant. Oxidation is a series of reactions in a cell that sooner or later leads to the death or damage of a cell in the human body. Antioxidants terminate this cell damage process and keep the cells healthy. 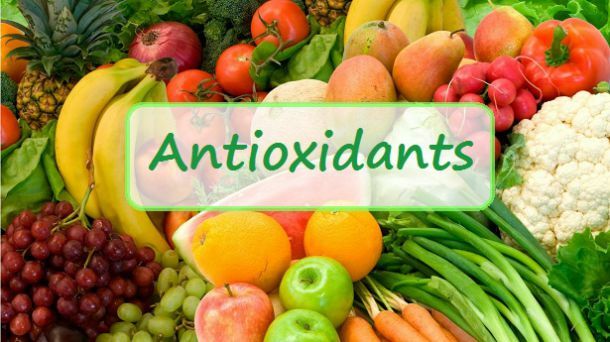 Our body is made up of cells so it is very important to keep them healthy and alive with the help of antioxidants because without them your overall health can be affected in many serious ways. Easiest and quick way of filling your body with antioxidants is consuming foods loaded with these supermolecules. Now that we know what an antioxidant is, we can begin to explain where they can be found and what the effects are from them. First off, some antioxidants are produced by your body itself and these will start to fight off the free radicals by normal body processes. In order to add antioxidants to help fight off these free radicals; you can get some by eating a healthy diet. Some examples of foods with a significant amount of antioxidants include fruits and vegetables that are high in nutrients such as vitamin A, vitamin C, vitamin E, beta-carotene, lutein, selenium, and lycopene. You could also choose to take antioxidant supplements but we would prefer you to talk to your doctor first before starting or considering adding a supplement to your diet. Some supplements do not contain the proper balance of vitamins, enzymes, and minerals; this could give a negative effect on your health. In order to get the most antioxidants in your diet, we recommend you eat a balanced diet with a nice mix of colorful fruits and vegetables and other antioxidant-rich foods. We will go over some of those below. – You can find Vitamin A in the liver, butter, eggs, and milk. – Most fruits and vegetables have Vitamin C.
The ones with the highest amounts of Vitamin C include kiwi, cantaloupe, papayas, strawberries, and oranges. Others include Brussels sprouts, broccoli, bell peppers, kale cauliflower, and tomatoes. – Seeds and nuts include a great amount of Vitamin E; included in this section would be almonds, hazelnuts, peanuts and sunflower seeds. There is a good amount found in green leafy vegetables like kale and spinach and various oils like corn, sunflower and canola oils. – Colorful fruits are where you can find Beta-carotene which includes cantaloupe, peas, carrots, papayas, apricots, squash, sweet potatoes, broccoli, pumpkin, peaches, and mangoes. This is another item that can be found in leafy green vegetables including beet greens, spinach, and kale. Another ingredient that is found in the leafy green vegetable is Lutein. This can also be found in spinach, kale, corn, peas, collards, broccoli, oranges, and papayas. – Lycopene is an antioxidant that is found in red and pink fruits and vegetables such as apricots, watermelons, pink grapefruit, and tomatoes. – Selenium is found in a lot of cereals that include corn, wheat, and rice. It is also found in animal products such as turkey, fish, beef, and chicken. Other items include nuts, legumes, pastas, and bread.